Fake news correspondent, Cec Pitt, discusses whether the major NSW parties are applying sufficient due care and attention to selecting candidates for the state’s top job. Bob Carr seemed singularly immune to the power broking-protocols that are routinely practised by the NSW Labor Party in the hiring and firing of Premiers. Morris Iemma however failed to understand that the NSW Premier’s job was in the gift of Eddie Obeid and Joe Tripodi. They reacted mercilessly by power-broking him out and Nathan Rees in. Nathan mistakenly assumed that the Premier’s job granted him the authority to exploit his previous experience as a garbo by clearing away the mess that Eddie and Joe were making. Eddie and Joe were faced with no other option but to crank up their power-broking protocols once more and replace him with Kristina. They calculated that their contributions to the state government would be treated better by a septic tank but they were soon to discover that not only was Kristina not their girl but she was also a former Miss Harpic in the Super Bowl. 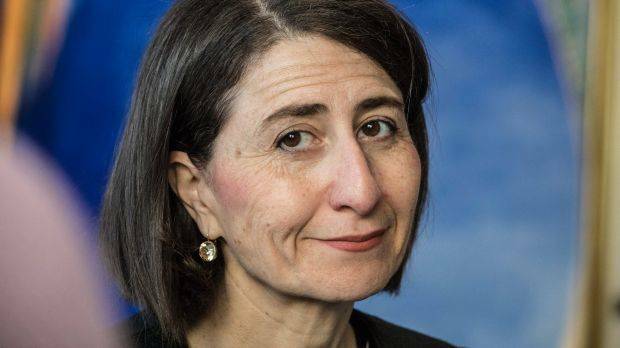 However the electorate soon saved the state from going clean round the bend with Kristina by replacing her with Barry O’Farrell. Unfortunately the Liberal Party had selected a Premier who couldn’t even remember being given a $3,000 bottle of Grange. For 99.99% of Australians that would have been the most memorable free shout of their lives. The donor might just as well have saved $2,990 and given him a bottle of Jacobs Creek. Then the Liberals selected Mike Baird who started off well in front but then took on dog racing and came in a disappointing second. Glad is a steady option because she’s not likely to become involved with either #MeToo or U2 and if she touches anyone deep-down it will be emotionally rather than physically. She’s got two major issues however: she’s finding light rail very heavy going and she has still to come to grips with the reality that Tomorrow’s Sydney never comes. But you’ll never guess who the Labor Party has selected as their next candidate for Premier; it’s none other than Michael Daley. Can this really be the same Michael Daley who rejoiced at the Labor Government’s three launches of the North-West Metro, all of which resulted in the project going South; the Opposition leader whose reaction to the government who actually succeeded in getting the North-West Metro on track was to criticise them for over-development? Was he really the minister who proclaimed the diligence and integrity of the last NSW Labor Government from an office just down the corridor from Eddie and Ian? There is a ray of hope. Michael has the reputation as a boozer who would never forget any gift of alcohol and he was kicked out of the NSW Parliament thirty-three times for conduct unbecoming. It could easily have been four or five times that if Bronny had been Speaker. He was reportedly power-broked into the party leadership position by Kaila Murnain, the NSW Labor General Secretary. She was obviously mentored by Eddie and Joe.